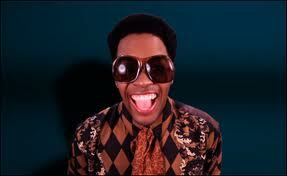 As he’s famously known it is Ifani who’s single and prefers his women to wear nothing. He hails from Mthatha then later relocated to Port Elizabeth (Eastern Cape, ZA) where he spent his growing up time with his Grandmother. This hilarious rapper saw a breakthrough in the music landscape in year 2008 after years of struggling to tap a nerve in the industry. He has recently made what I call international blow up with his track “Ewe”, which means yes. “After being tired of hustling and being rejected I had to think of a different approach,” said the emerging rapper. By coincidence he met someone who knew Pitch Black Afro by then he was looking for beats for his album titled “Zonke Bonke”. Ifani then called St Bosseratti in Cape Town and requested him to send some beats (and he did) so that he can forward them to Pitch Black. One of them was the beat for “Ewe”, but Pitch took three (3) and rejected “Ewe”. 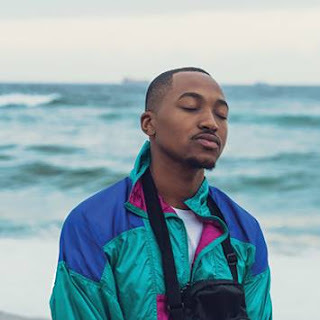 Talks the rapper, “I found myself sitting with a beat that had no use”, MTV Base rejected his “Hola Hater” music video and they said it didn’t meet their standards. He comprehended this though he was furious as thoughts of other rejections came running to his intelligence. Recollected above is how the hit “ewe came about. St Bosseratti on the beat. 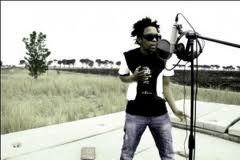 rap music, but he saw it as very essential to use Xhosa (Nguni language). He said, “Firstly, it’s my mother tongue. I honestly love it,” he continued, “Secondly, I’m aware of what English is doing to us in SA. Slowly, our languages are being lost to the Western cultures.” This is his way to preserve the Xhosa language and draw interest towards it. He also says that Xhosa rap needed to be present in the commercial arena, “It’s been dry for us,” said the youthful rapper. The song is aimed at reviving the hustling spirit. 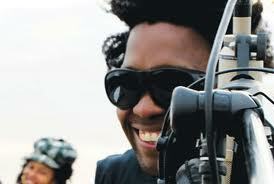 Ifani says it is too soon for all of us (Rappers) to give up. “I’m telling them that it’s not easy breaking in here they need the ‘I won’t give up’ mentality.” He also believes that it’s time for the underdogs to bark now and his faith is with his fellow hustlers as he sees more talent on the way. Q. How do you feel about the publicity that the song got? A. I love it. And I'm thankful to everyone who's played it for their friends, at clubs, at radio stations, everywhere. I'm happy and thankful. Q. Can you give thanks to three (3) people that inspired you on making/ on the song? A. St. Bosseratti. Emzeteye and my two nephews (Owam (7 years now: was 5 at the time) and Imani (5 years now: was 3 at the time)): they, without knowing, inspired the chorus. Q. Can you thank four (4) television/radio/print medium that helped you to push “ewe”? A. Yarona FM. Tru FM. YFM .Vow FM. Metro FM. Club 808!!! MTV Base, SABC 1 Live and Channel O/Vuzu TV. A. Spaza artists, Prokid, my Grandparents and Lama. Q. Who’s your role model(s)? A. My parents (technically grandparents) Mfene and Mamthembu. Q. How do you spend your weekends? A. Normally I'm cranking with the boys and discussing our next moves or chilling with Blak Suga and talking nonsense. Q. What is your favourite colour(s)? Q. What is your favourite food dish? Q. What is your most dreadful food dish? A. I eat everything like TTP. I'm not very choosy. Q. What is your motto in life? A. If you need it and no one wants to help you, do it yourself. Reading from your biographical data, how did your father’s experience change and prepared you for the person you are today? He says, “He was the first person to reject me in life,” maintained Ifani, his mother wasn’t really present in his life too. This made him independent from a very young age and he knew if he wanted things he couldn’t ask, but he had to do or get them himself. He claims that he studied life from 1986 till today, from Mthatha, Port Elizabeth and now Johannesburg, “Oh and I have my matric, thank you very much,” said the Xhosa rapper who also believes in God. When asked about the importance of education to other young people, he said there’s education and there’s school. He says the two aren’t the same but overlap, in his continuation, school is good for teaching you to obey rules, compete and learn yourself through others. The man said education is everywhere, “Pick up a phone, hit Google and learn…” To him it is very important to have these in his chosen field as he claims they prepare you. There’s a lot that he feels needs to be changed in the Mzantsi music industry, starting from the egos and taking things too seriously. His wish is to ask people in the industry to relax and loosen up a bit. His advice, artists should take risks and not say no and condemn because that’s the norm. He also furthers his wishes on getting more thinkers and less emotional beings in the industry. He believes that way they could have variety in their music and most importantly, rich artists. Ifani says we need P Daddy’s and Jay Z’s here but someone will make sure they don’t get that dough. He himself doesn’t know for what. 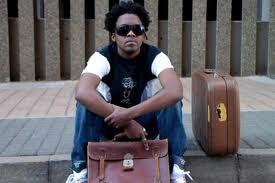 I asked him does he have a 9/5 daily job besides music, “No, I grind all day,” Finished Ifani the Xhosa rapper. His upcoming album which will be dropped next year will be obtainable everywhere. He has not signed anything down yet with distributors. Be sure and positive to expect fun, reality and originality. To give your ears a taste of “Ewe” Click here.